We Got Featured On Unidigest! Here at Sri Emas, we pride ourselves in delivering quality education with our innovative methods. While unconventional, they have stood the test of time as we press on developing our students’ characters and skills year in, year out. Our very own alumni, Sim Yi Lin and Aaron Khoo Ming Liang, are two such standout testaments to our approach at this year’s Outstanding Cambridge Learner Awards Ceremony for their achievements in November 2016’s Cambridge IGCSE exams. Yi Lin was the sole recipient of “Best Across Eight Cambridge IGCSEs”. “Best Across” awards are issued to students who have the highest cumulative total marks in the students’ country. In this case, Yi Lin got the highest marks for the eight subjects she took in Malaysia. She also received awards for being the Top in Malaysia for Accounting and Top in the World for Additional Mathematics. Both Yi Lin and Aaron were among the few that were awarded “Top in the World for Mathematics”. While academic achievements are important, what we stand for doesn’t change: we believe that all students, no matter their academic aptitude, deserve a wholesome education. When the human aspects of a student are taken care of, their academic results tend to follow suit. After all, what good is book smarts without the confidence and ability to translate knowledge into creativity and innovation, especially with what the world demands of people today. When asked about his experience here, Aaron had this to say: "In Sri Emas was when I found out that teachers can make teaching and learning so fun! Being inquisitive and asking questions soon became a norm and I gained self confidence in my years in Sri Emas. Classes like Drama and Hip Hop have helped improve my people skills, especially socialising and just being around different characters. An amazing time spent here!" Our principal, Melinda Lim, also chimed in saying that these awards not only acknowledges the talent and dedication of both students and teachers, it’s also an affirmation to our approach in making learning fun and provoking curiosity in our students. She said: “We’ve always believed that even tricky subjects can be taught in fun and engaging ways, rather than through rote learning and memorising." Country Director of Cambridge International Examinations for Malaysia and Brunei, Mr. Ng Kim Huat added: "The awards reflect the talent and hard work of learners, and acknowledge the dedication and commitment of both teachers and parents. Every time a learner performs well in their Cambridge examinations, they open up a world of opportunities." This year proves to be another exciting one as we watch more and more talented students, individuals who are full of character and curiosity, flourish. 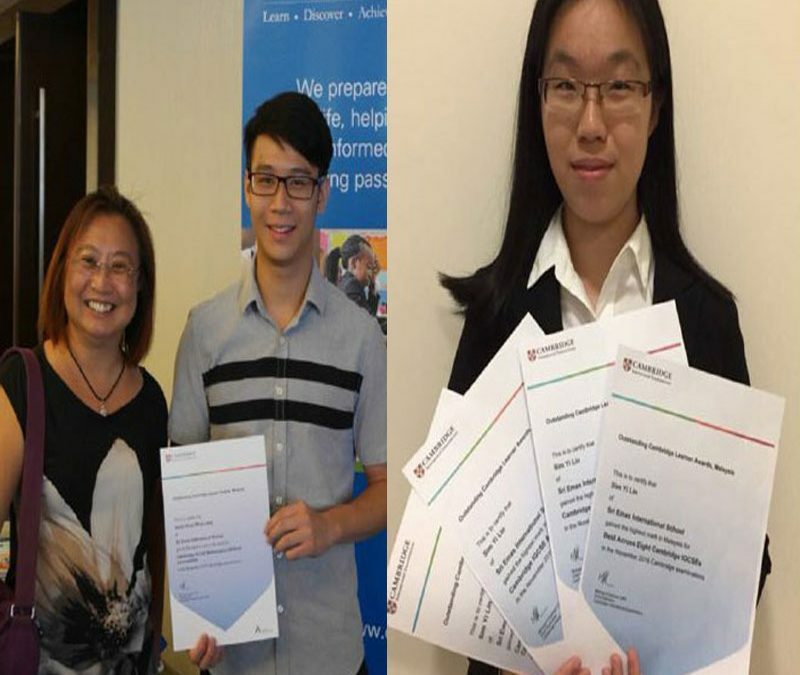 In the meantime, we wish Yi Lin and Aaron a hearty congratulations for their outstanding academic performance. They’re amazing young people in the growing community of extraordinary ACE EdVenture alumni. We wish them all the best in their next chapters!